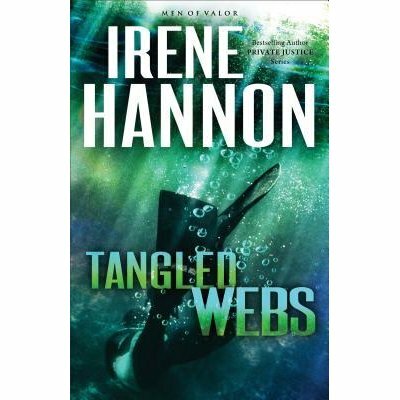 It's been a bit since I'd read an Irene Hannon book, so I picked up Tangled Web with a readiness to dive back into her stories. She's an author I enjoy, and this book was no exception. Here's a short blurb, and we'll chat on the other side! One thing I like about Hannon is her pacing. She keeps her plots moving at a good clip with rarely a slow moment. Everything that happens on the page is for a reason, and that keeps the reader pulled in and interested. Whether it's pushing the suspense forward, the romantic thread, or the antagonist's story, Hannon uses her words on the page wisely. Overall I liked Finn and Dana very much. At times I wasn't as sold on the motivation behind their decisions, but they did maintain their believability and most moments were very organic. I did feel the end brought an easy out for one of the characters, but I could also identify with why Hannon chose to write it the way she did. I loved the interaction between Finn and his brothers as well, reminding me that I haven't read the first book in the series yet but do want to! And as for Finn and Dana, Hannon balanced the romance and suspense incredibly well, something she's become very adept at doing. Tangled Webs entertained from start to finish with very little I disliked about it--which is no surprise when it comes to an Irene Hannon novel. I happily give it 4 out of 5 stars and you can purchase it here. Hi Susan, I love Irene Hannon's books. Thanks for sharing your thoughts on Tangled Webs.